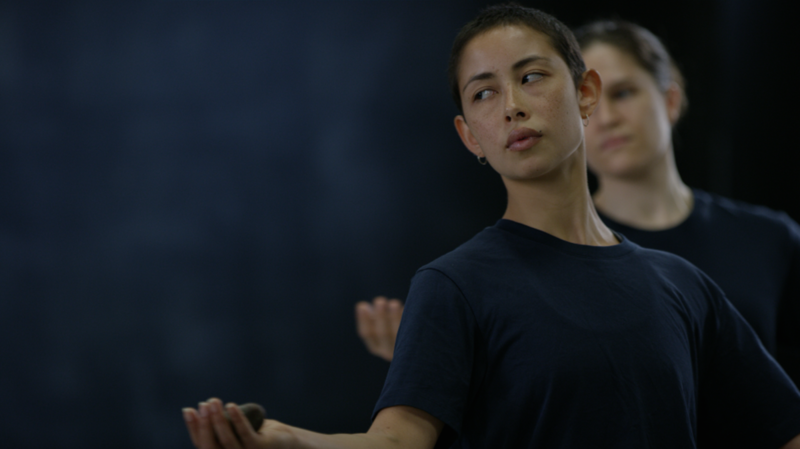 Lilian Steiner is an Melbourne-based dancer and choreographer whose practice utilises the inherent intelligence of the active body as the primary tool for creating wholly encompassing visual, sonic and kinaesthetic experiences. Her work embraces the power of ephemerality within energetic exchange through emphasising the presence of weight and density within the sculptural nature of sound, the body’s form and light as an extension of the body. Major choreographic projects include Admission into the Everyday Sublime (Next Wave Festival, 2016), BUNKER (Melbourne Fringe Festival, 2015), Noise Quartet Meditation (Melbourne Fringe Festival, 2014; Dance Massive 2017), Meditation (Melbourne Now, NGV, 2014) and The Call to Connect – Voyager Recordings (Lucy Guerin Inc.’s Pieces for Small Spaces, 2012). Noise Quartet Meditation received the 2015 Green Room Award for Concept and Realisation. As a dancer, Lilian has worked with Australian companies Lucy Guerin Inc. and Phillip Adams' Balletlab across many projects as well as with independent choreographers Melanie Lane, Shelley Lasica, Brooke Stamp, visual artists Brook Andrew, Ash Keating, Mikala Dwyer and Alicia Frankovic and architect Matthew Bird (Studio Bird). In 2017 Lilian received both the Helpmann Award and Green Room Award for Best Female Dancer.